Why Choose Us To Sell Your Home? Buying a home has earned a bad rap in recent years. The economic meltdown a decade ago left many homeowners in hot water and unable to pay their mortgages and even lead to foreclosure. But the American dream of owning a home bounced back with a fury. Now, rents are rising and owning a home is once again affordable. If you are struggling with whether to buy a home or continue renting, consider the reasons to take the plunge into home ownership. 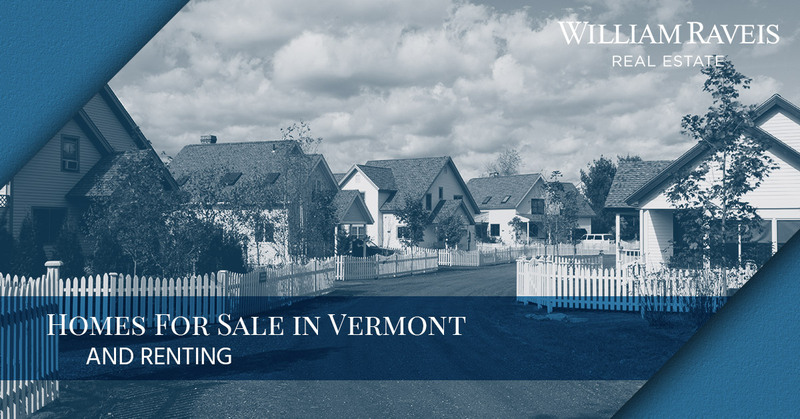 William Raveis Real Estate urges you to take a look at the homes for sale in Vermont after reading these advantages of home ownership. If your landlord suddenly decides to sell the property, you can expect an eviction notice. Your landlord could also decide to rent to somebody else, a relative perhaps, and give you the boot. But if you own your home, there is no landlord to tell you to move out. In fact, you don’t have to speak to a landlord ever again. Landlords can take forever to fix your leaky faucet or continually bother you about the rent even though you pay it in time. Fixed mortgage rates don’t go up, even when the cost of everything else does. Lock in a low monthly payment and you can expect to pay that for the next 30 years. Your landlord can’t make that promise. In fact, you can expect your rent to go up on a regular basis. Whether you need to remodel your bathroom to reflect your Art-Deco tastes or knock down a wall to expand your master bedroom, you have the freedom to do so being a homeowner. Your landlord isn’t likely to approve such drastic measures. Homeowners are allowed to deduct mortgage interest and property taxes when they file their returns. These tax deductions can be used every year and save homeowners a lot of money over time. Buying property is a long-term investment that will eventually pay off. Buying a house may not be a way to make money quickly, but you will do rather nicely over time. Which is much better than renting, which promises no way to make any money back. Owning a home is a great way to build up your credit. Having a good credit score allows you to borrow money at better interest rates to get the things you need in life. Despite the initial expenses of a down payment and closing costs, owning a home is generally more inexpensive than paying rent, especially over time. This is because when you are paying rent, you are basically just putting money in your landlord’s pocket so he can buy the stuff he wants. The money you spend on your home is an investment that will reward you in due time. If you are now interested in owning your very own home, contact a real estate agent at William Raveis Real Estate. The prospect of buying a home can be very exciting, but at the same time, it’s an investment that will make anyone feel just a little nervous. It is important to minimize the stresses of buying a house and your real estate agent can help. It also helps if you know what to expect. Here is a home buying process chart to help guide you through the process and prepare you for your journey to home ownership. Get started researching property listings. This will give you an idea of what type of property you would like to buy. It will also give you an idea of what financial goals need to be set. An online mortgage calculator will help figure out how much you can afford to spend on a house. Take into consideration monthly payments and down payment. Sit down with a professional and determine just how much the bank is willing to lend you and then get pre-qualified and pre-approved for a home loan. You should have a good idea of the criteria you demand in a house. Start attending open houses and your real estate agent will show you houses that meet your demands. Once you find the house of your dreams, your real estate agent will help you decide what kind of offer to make to the seller. There might be some negotiations before the offer is accepted. Once the deal is closed and you have signed a multitude of papers, the house is officially yours. Grab the keys and enjoy the fact you are now a homeowner. ©2018 William Raveis Real Estate® - Do not copy. All rights reserved.